Here’s the best of 2018! By category, only one winner per category, no runner ups, no honorable mentions, no blah blah blah. I’ve culled the list from 427 articles, 119 Youtube videos, 67 books, and 41 movies. Unlike many other best of’s on the internet, I’ve actually read, watched, or listened to the media that tops my list. Enjoy and Merry New Year! Which Generation Are You In? Also a language lesson to everyone not living on Cape Cod. It’s an island, so it’s “on Cape Cod” not as this headline reads “in Cape Cod.” It’s like when when people call the Gulf of Mexico, the ocean. Sorry, rant over. Thanks for reading, watching, and listening. Jump over to my personal page to learn more about the best Christmas present! 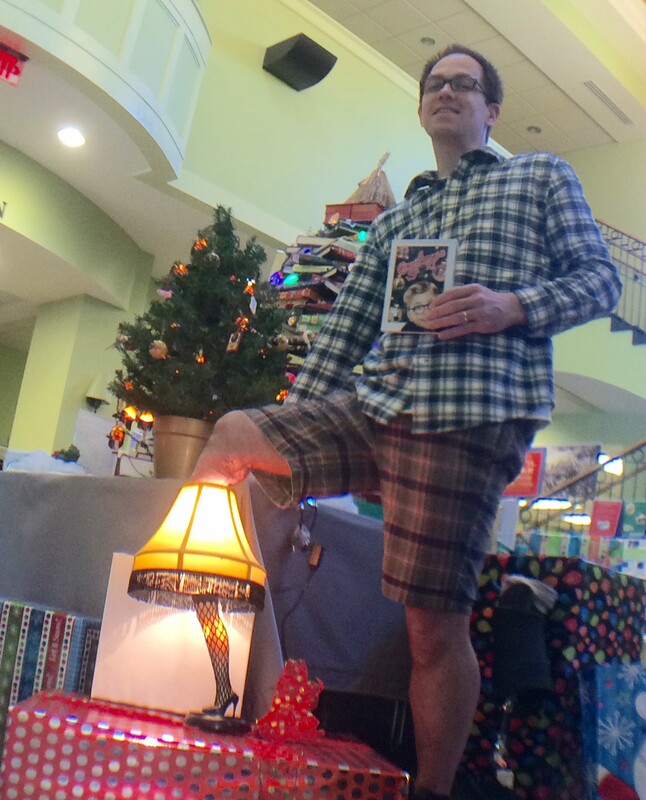 How does an Amputee Librarian Celebrate the Holiday Season? 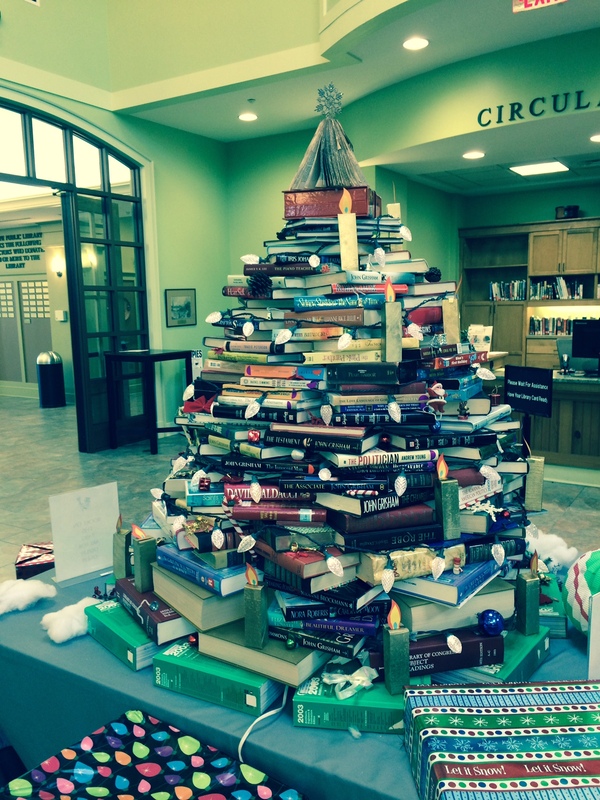 Building the book tree at the Fairhope Public Library was a team effort. Cheers to Rosalie, our nonfiction book club member, for suggesting the contest idea to us during our discussion of This Town. 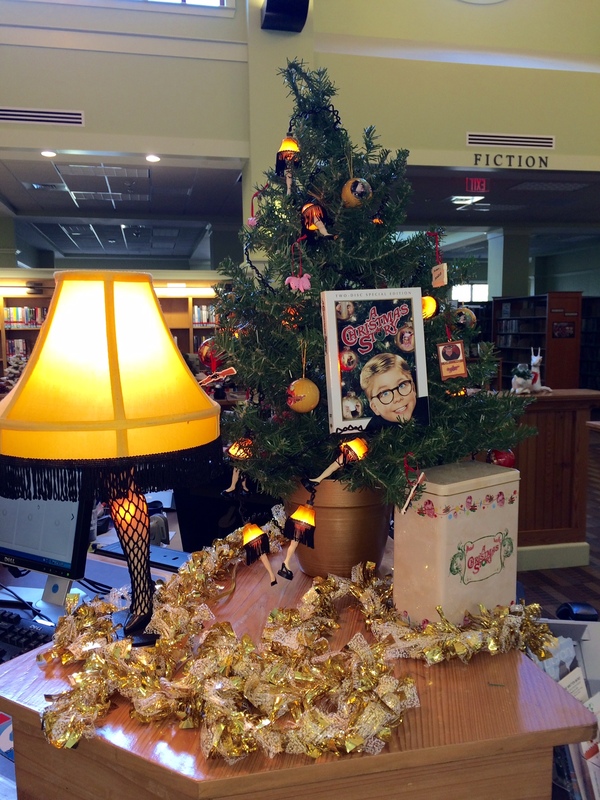 Guess the number of items in the tree the next time you visit the library. Even Cheryl the Builder doesn’t know how many items were used. I’ll be counting them after the new year, and the winner will be announced January 5. The winner picks one popular title that was used in the book tree. The 1983 movie, A Christmas Story, is based on Jean Shepherd’s 1966 short story collection, In God We Trust, All Others Pay Cash. Shepherd helped write the screenplay and it is his voice narrating the movie. The photo was inspired by Josh Sundquist and Leo Bonten. Sundquist’s Halloween photos are leg-endary and Bonten actually turned his amputated leg into a lamp. Last year, with the help of an app, I was Grinched. 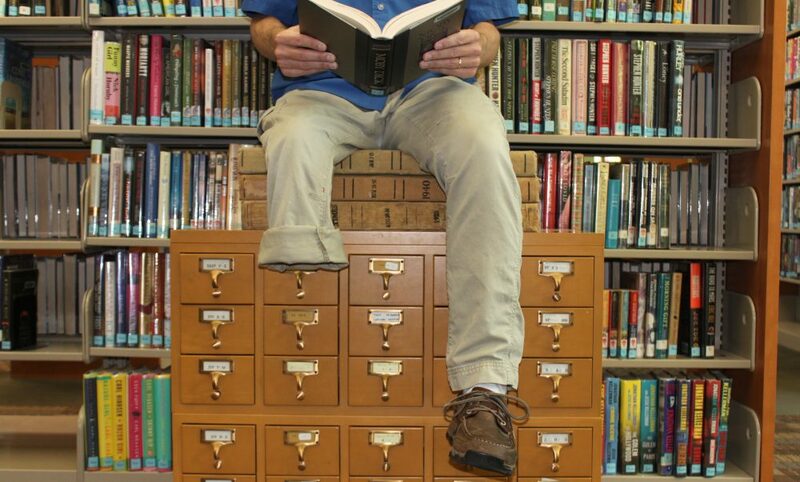 Next Week: Stump: the Librarian’s 2014 list of books, movies, TV, and Music. Until then, Read the 2013 list.